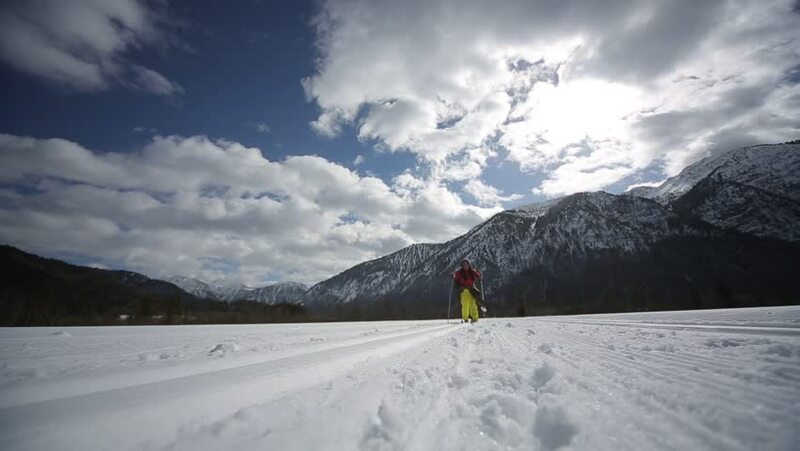 video footage of a woman cross-country skiing in german alps in winter with clouds and sunshine. hd00:11TRACY ARM, ALASKA-CIRCA 2011-Point of view time-lapse from the bow of a ship drifting with ice in Tracy Arm in Tracy Arm - Fords Terror Wilderness, Alaska. 4k00:15Hills covered in snow. Sunny, cold day in Sudety Mountains. 4k00:09Skiing through the eyes of the skier. Stabilized track record of skiing in a beautiful resort in Europe. 4k00:30Skier view of the downhill skiing with the view of panorama of the Austrian Alps on a sunny winter day / 3840X2160, 4K video, 30 fps.